Making charcoal from bagasse has become more and more common in today’s life. 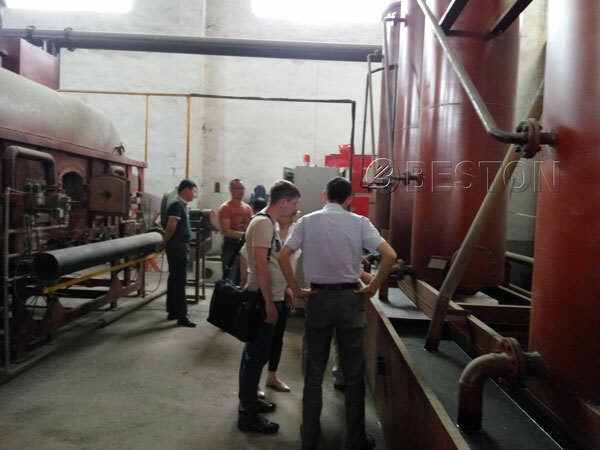 Beston sugarcane charcoal making machine has possessed the mature production experience and sales experience through continuous development and researching for many years. What’s more, it has also made great contributions to the strategy of sustainable development and globe economy because it belongs to waste to energy project. 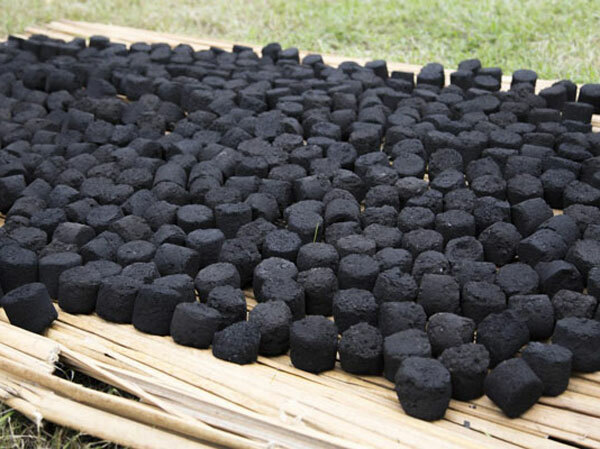 Beston sugarcane charcoal making machine has achieved the goal of turning waste into treasure. 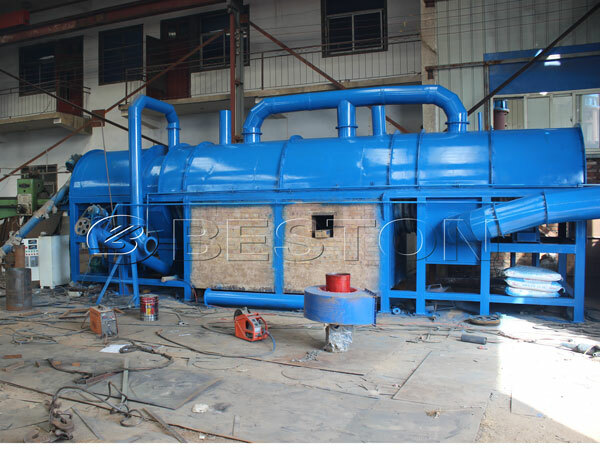 This kind of machine mainly uses sugarcane waste as raw material, and then through the process of high temperature carbonization, smoke discharge, sulphur emission and charcoal enrichment charcoal, the waste of sugarcane will be turned into charcoal, combustible gas, tar and wood vinegar. These final products can be used for creating high economic values. 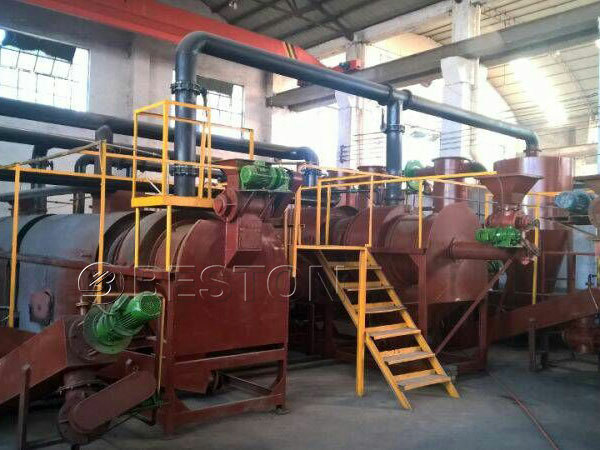 So Beston bagasse charcoal production machines have an important signification in the respects of new energy development and economic development. Through a series of process, the sugarcane waste will be converted into charcoal, tar and wood vinegar. The charcoal from sugarcane has high burning value, which can be equal to coal, so it is always used as fuel for burning, cooking, warming in the living life and industry; in addition, the charcoal can also be used as fertilizer to improve the soil; moreover, the charcoal can be also further processed into shaped charcoal with smooth and beautiful appearance by related machines, which can increase its marketing value to create high economic profits. 2. 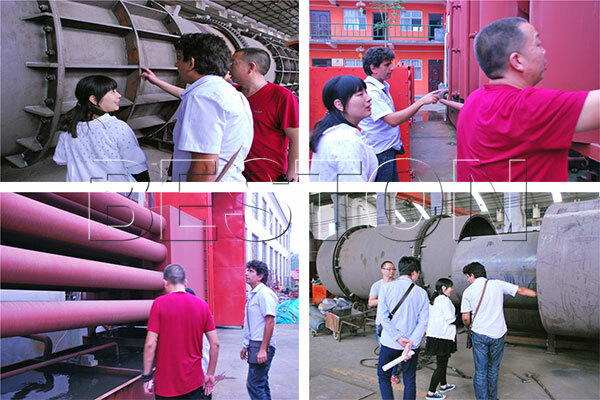 The high quality guarantee: each part of our carbonization equipment has adopted the best materials and unique design, especially the core part- furnace. 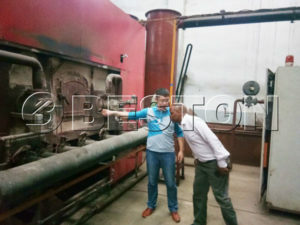 The furnace of Beston sugarcane charcoal making machine has introduced the imported material – titanium alloy, which is durable and corrosion resistance to extend the service life of the whole machine. 3. 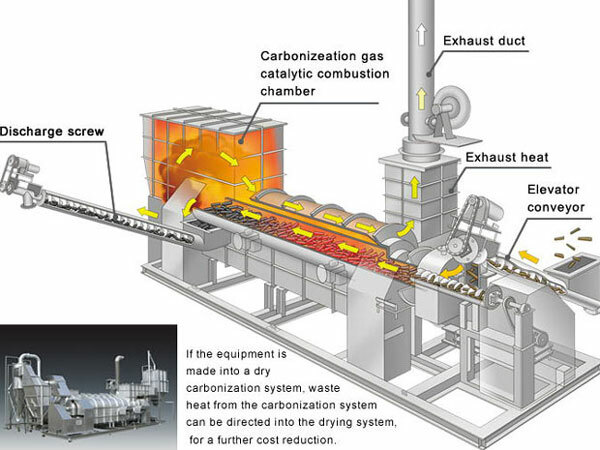 The unique design and technology: the multiple layer design of carbonizing furnace and the technology of one fire with two steps have highly increased the rate of heat utilization and working efficiency form the beginning. There are three times to make maximum full use of heating in the whole process of operation, and the heat use ratio of our equipment is over 85%. 4. 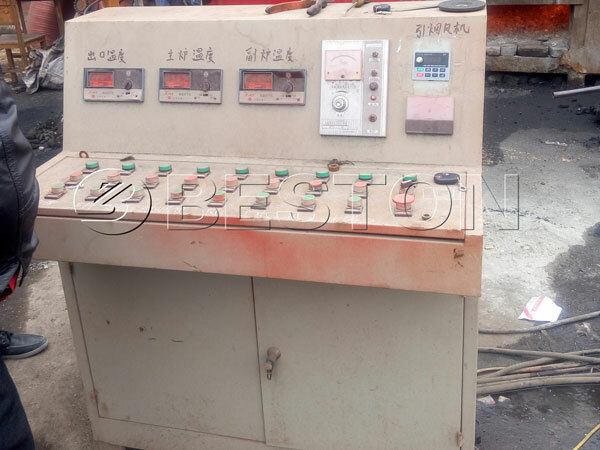 The sealed sugarcane bagasse carbonization machine for sale: the whole process has always been operated in the full sealed environment, which can reduce the heat losing and the consumption of energy. 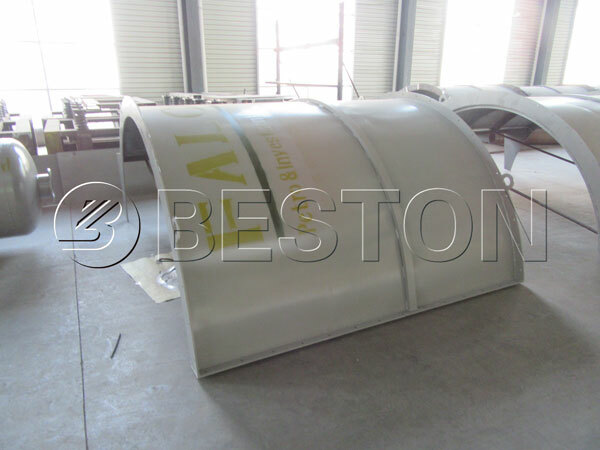 And in this way, the raw material will be fully processed to increase the production yield. 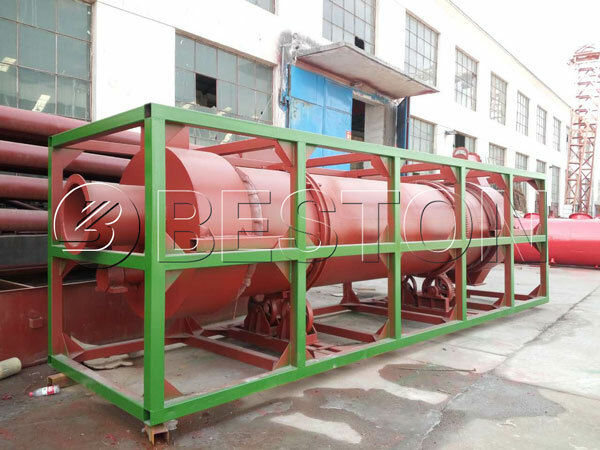 Beston sugarcane charcoal making machinery has been equipped with advanced spray dedusting system, and it can fully remove the harmful components of combustible gas, which is helpful to recycle combustible gas and avoid air pollution. Under the sealed condition, it can prevent the harmful gas from leaking to protect the environment. So the whole production process is pollution-free, and we promise that our machine can meet EU emission standard. The security design is also a n important part in the working process. In this respect, we have made comprehensive carbonizer design. Firstly, the surface of the furnace is covered by casing, which can avoid the scald of workers and reduce the heat losing; the PLC control system can realize the intellectual protection, which can increase the working efficiency and reduce errors during the process; the sealed working environment can avoid the accident of big exploration. Nowadays, the sugarcane charcoal maker machine produced by China Beston Machinery has kept a dominated status in the international market. Meanwhile, Beston is aimed at pushing forward our machines to a wider sales market to enjoy popular supporting. Looking forward to cooperating with you!